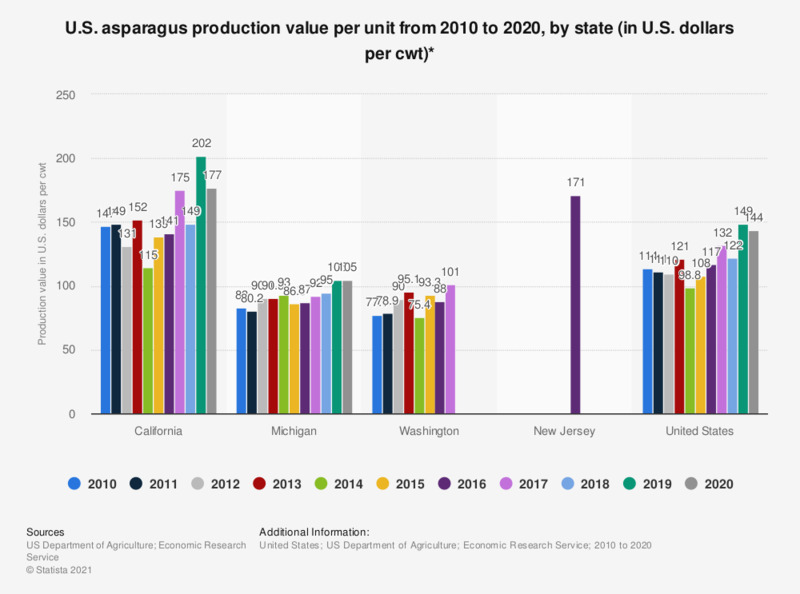 This statistic shows the production value per unit of asparagus from 2010 to 2018 in selected U.S. states and also provides a national total. In California, the production value per one unit of asparagus came to around 149 U.S. dollars per cwt in 2018. * For fresh market and processing.